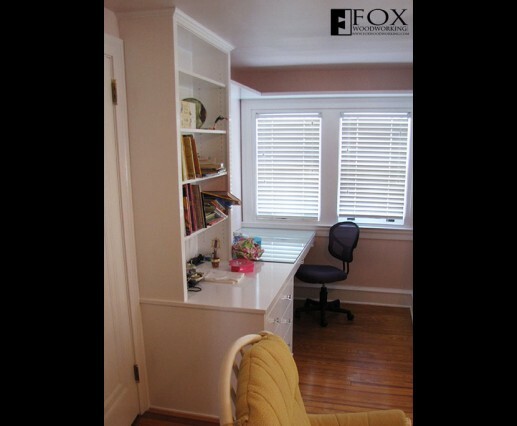 This desk, drawers, and bookcase were part of a suite of child's furniture for a client in Bryn Mawr, PA. 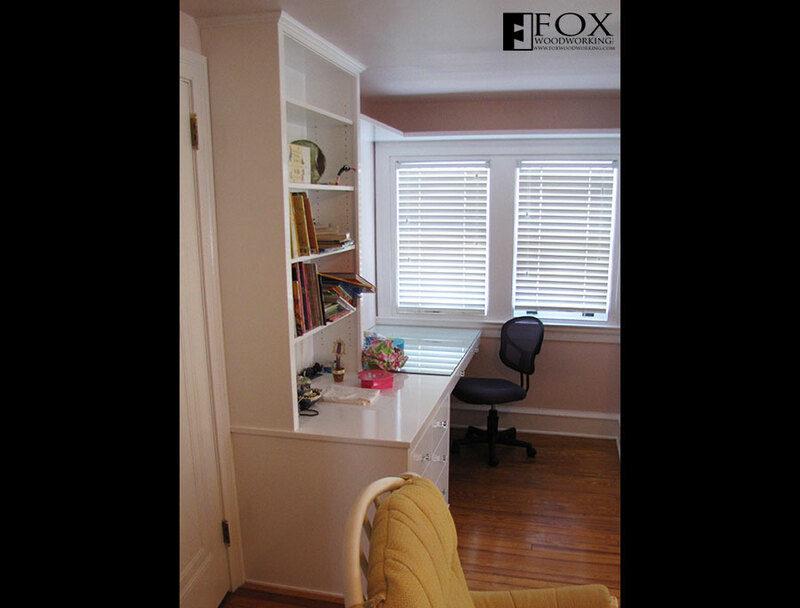 The desk is covered with 1/4" glass to stand up to years of use while the solid wood shelves can hold plenty of books with out sagging. The drawers are solid wood made with dovetails and 1/2" thick plywood bottoms. They run on Blum undermount drawer slides with a soft-close feature, except for the pencil drawer which runs on Accuride side mount, self closing slides. 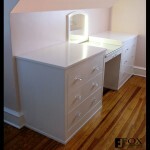 The drawer fronts are inset into beaded face frames and the white finish is a pigmented conversion varnish.